The weekend of April 25th the Vehikl team took a short road trip south of the border to attend Erie Day of Code in Erie, Pennsylvania. The one-day developer event included talks, workshops, and open discussions about the progression of Web Development and Open Source. 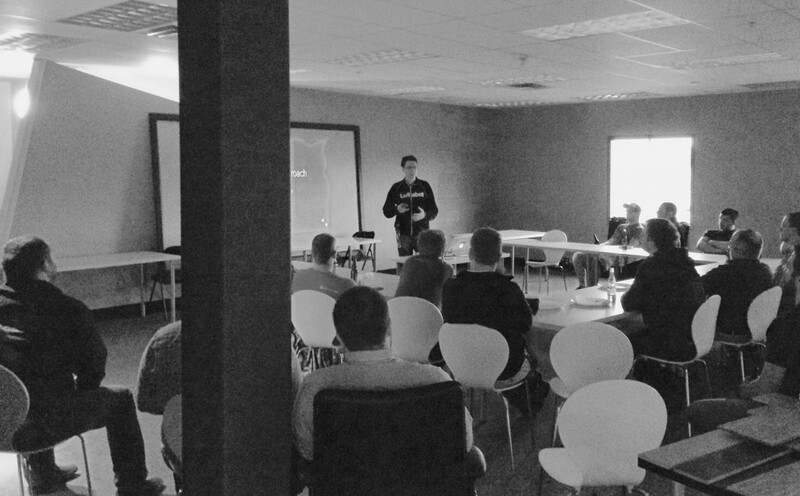 On April 29th, as a silver sponsor, the Vehikl team attended the Guelph PHP (GPUG) user group at the Fibernetics Ventures building where Andrew Berry, a senior developer at Lullabot, talked about his experiences working on the Tonight Show website. We are a team of passionate software artisans. We believe in user-centered design and and focus on writing clean, maintainable code.